artists seems to have been very much on the same premise as the initial display. I love that all of the art is tangible – yes literally so – I have stroked the suitcase display – I have felt the rubber bull as I walked past. With all of these displays there has been a lot of creative stores opening in the town. 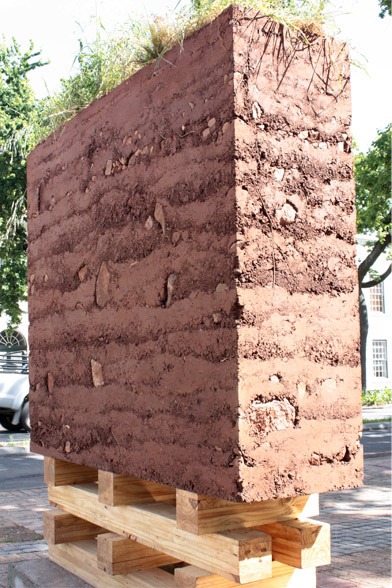 So – if you have not walked Stellenbosch for a while – do yourself a favour and go and walk Dorp Street, Kerk Street and then walk around the Braak………..and then report back! 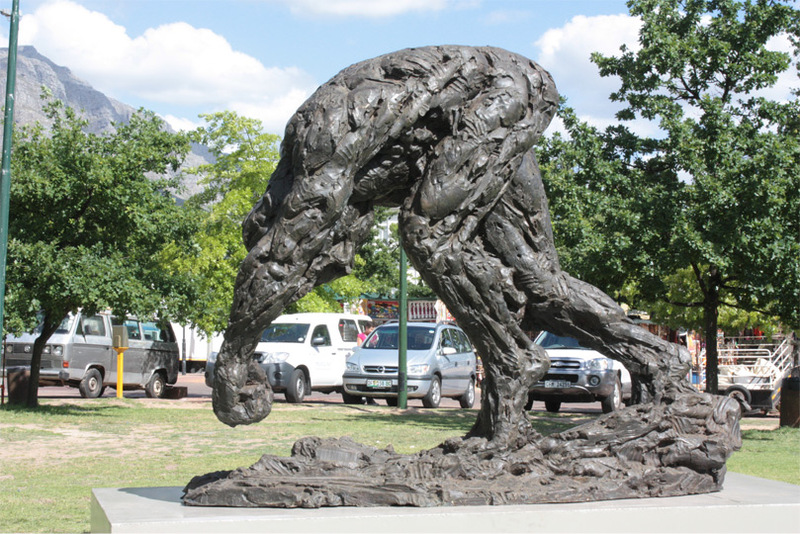 Click here to visit the 20Stellenbosch website that shows you sculptures. 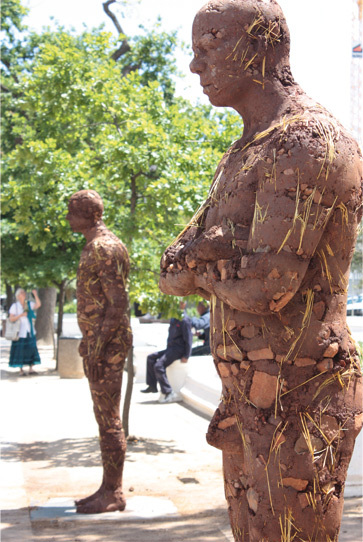 Click here to print the map of the exhibition and where to walk to see them. Java – stop for a coffee in Kerk Street – if you can find a table – they make seriously good coffee at a seriously cheap price – a winning formula for university students – so they are always packed! The Big Easy – Dorp Street – located in a beautiful old Cape Dutch home – this is a wonderfully stylish spot to stop for lunch. I have not explored their menu much – I have been twice and had their gourmet burger twice and it is a complete taste sensation. Note the rest of the dishes are more fine dining – but you are also welcome to stop for a drink – such a lovely setting – really well worth popping in. Cupcake – in Dorp Street – does delicious salads and sandwiches at lunch – their secret is that there is a big courtyard behind them – and it is like a green oasis in summer – I love it – tinkling sounds of water and a slightly funky creative feel – I lurk here often when in Stellenbosch. It is definitely a favourite. The Apprentice – Andringa street – just off Kerk Street – this is the student restaruant of a culinary academy – it is great fun – yes – the dishes may flop – but then, they may be amazing that day. It is a fun place for foodies to go and play! De Oewer – Aan de Wagen Rd – just off Dorp Street – is an absolute favourite – note this is just off Dorp Street and looks like nothing from the road – it is however set right next to a river and is wonderfully tranquil. The food matches – simple – light – delicious and fresh. Also well priced!! A wonderful place to relax all afternoon with a group of mates! Cafe Dijon – 35 Plein Street – yes – this one is for you if you are a foodie – they are unapologetically a French Bistro – everything is rich and delicious! 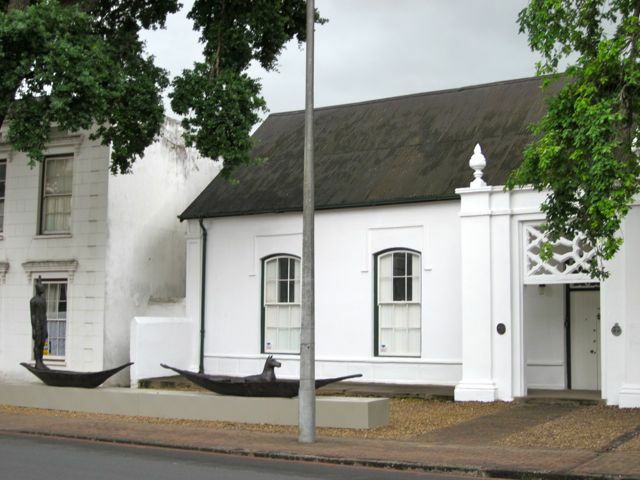 Casperus – 59 Dorp Street – Tues – Sat lunch & dinner – this is one of the Cape’s most famous chefs and one of the oldest still playing – Etienne Bonthuys is a South African culinary legend – so if you are a foodie this one may be worth exploring. 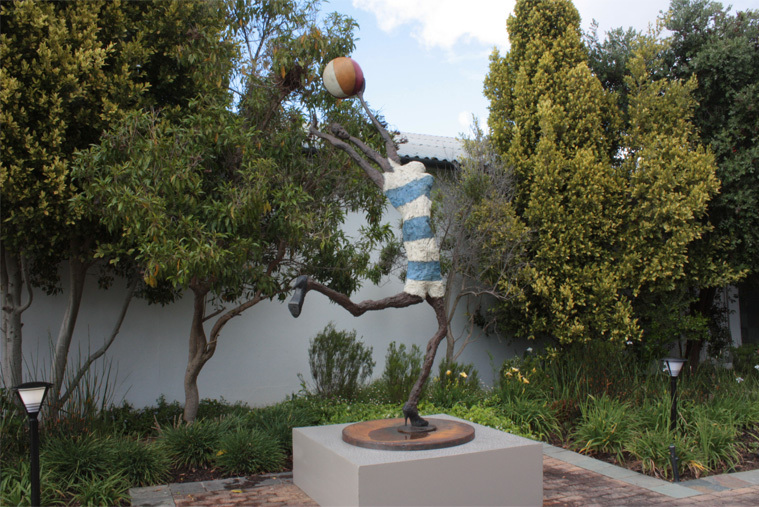 This one fits with doing an art ramble of Stellenbosch as the chef has paired with a local artist Strijdom van der Merwe to create a combo of part gallery and part restaurant and an extremely cool and contemporary eating space. Note: this one is fine dining! 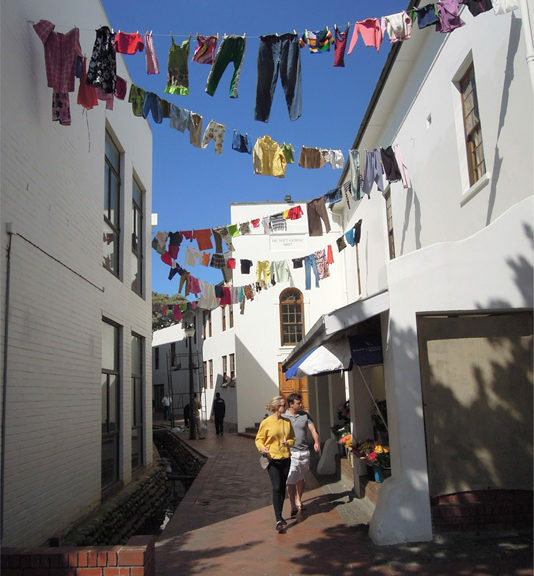 Greengate Deli – De Wet Centre – corner Church (Kerk) and Bird – it is in a hidden courtyards – walk down Kerk and ask someone to point out the alley you must walk down – if you see the SMAC art gallery you are heading in the right direction – it is just past here. This deli has been a favourite for many years. They prepare fresh salads and veg dishes and usually one meat dish a day – you simply weigh and pay. The emphasis is on healthy options. It is also fantastically quick – perfect for a quick lunch! 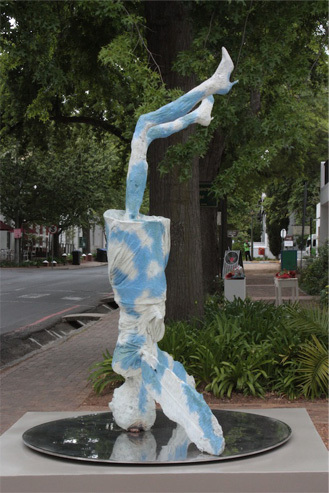 Note all the pictures in the post belong to 20Stellenbosch and are their copyright (© Copyright reserved 2011 – 20 Stellenbosch) Visit their website to see more of the sculptures that they have placed around Stellenbosch. Thanks to 20Stellenbosch for granting me permission to use their pictures!